We design and install a variety of heating systems to suit your property and personal needs which can be tailored by controls. We have knowledge and experience in designing and installing systems. Our survey system ensures the most efficient systems, with practicality in mind, is installed. We design and install many types of systems, a few of which are shown below. Please also refer to our manufactures area for product information. System upgrades – These normally comprise of new boilers, controls and water storage. Any upgrade has a mandatory power flush included if a new boiler is installed. 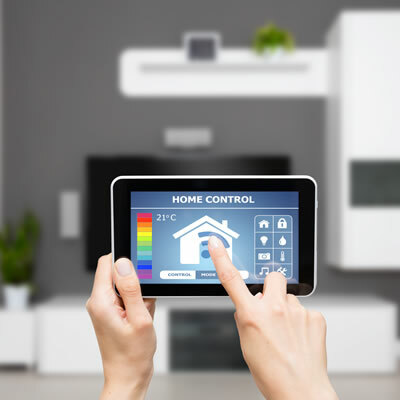 Heating zones – We can design independently controlled heating areas in your property, achieved by pipe work and motorised valves or wirelessly controlled valves. Heating zones are a good tool for both practicality and energy efficiency. 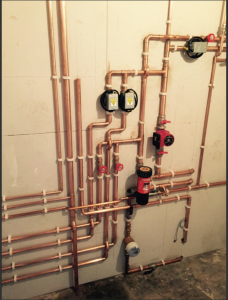 Underfloor heating – This type of heating can be installed where required and any making good can be carried out by the RCM Contractors. Linked systems – The aim of linked systems is to make it more energy efficient. This is achieved by having an automatic boiler and solid fuel appliance working together. In turn, fuel bills will be reduced. Hot and cold – Hot and cold water systems rely on pressure and flow rates. We provide a survey service to identify your requirements. We will be able to achieve this through the products listed in the manufacturers area, mainly under water storage or controls.